Dive Guide Harris Moore lends his account of a nail-biting experience, diving with trained demining professionals, as the team sets out to remove undetonated explosives from a shipwreck near the Palauan island of Koror. The team works carefully in safely documenting and removing the bombs from the busy harbor. DEMA Show 2011 featured new gear from both new and established manufacturers. While there was no single category that saw a major advance from multiple companies, like dive computers last year, DEMA 2011 showcased many new products that came in smaller sizes and/or higher quality than the versions before them. 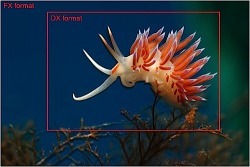 Sony’s innovative NEX-5 mirrorless digital camera becomes submersible with Aquatica’s AN-5 underwater housing. 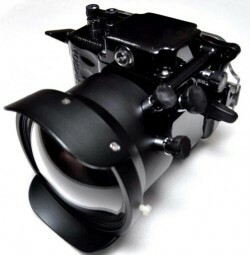 A powerful combination for the aspiring underwater photographer or the pro looking for a backup solution. This compact system foreshadows the lightweight, cutting-egde technology of the future, while offering the flexibility of a classic interchangeable lens camera. Explore the Cayman Islands, where gin-clear waters make for mind blowing scenery both above and below the turquoise blue waters. Three unique islands make up this Caribbean gem, collectively offering a diverse mix of adventurous activities and serene escapes that any discerning traveler can appreciate. Nowhere else in the world is the dive industry as healthy and looked after as in the Caymans Islands. There is nothing quite like the thrill of seeing the ghostly image of a shipwreck appearing out of the gloom in deep, dark water. The Canadian Province of British Columbia, as beautifully gorgeous underwater as it is on land, has some of the finest coldwater shipwreck diving in the world. Providing a unique blend of history and a modern day adventure, AtlasOmega’s Calvin Tang and John Rawlings describe their dives on three of the Province’s shipwrecks with a select team of technical divers. Shearwater Research gets the go-ahead from the United States Navy to develop the world’s first sensor system capable of measuring a rebreather’s remaining scrubber capacity, a landmark that would greatly improve the safety of recreational, commercial and military closed circuit rebreathers. Think Tank Photo offers a smart tandem of camera bags for the traveling photographer: the cavernous StreetWalker HardDrive camera backpack for the long-hauls, and the fast, purpose specific Sling-O-Matic 20 sling bag for day trips. 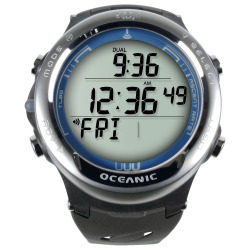 The Oceanic VT 4.0 is a rugged, time-tested workhorse of a dive computer. It can read tank data wirelessly from four different transmitters, and employs an entirely redesigned software interface that allows for intuitive control on the surface and ease of use in the water. Technical & Commercial Diver, Chris Borgen, puts his gear through hell on a regular basis. The Santi Enduro, true to its name, is the suit of choice for the dirtiest of jobs and the most frigid waters. Don’t let the rugged materials fool you though, the Enduro is as comfortable as it is tough. Where other suits fall short, Santi delivers. Though not the sexiest part of the dive equipment ensemble, gas analyzers are an indispensable tool in the dive industry. Whether you’re a dive shop or a tech diver, you’ll want to know what you’re putting into those scuba cylinders. For recreational divers looking to extend bottom times or depths, you’ll have to advance past breathing air eventually. AtlasOmega interviews Evan Bozanic, who at eleven years old became the world’s youngest person to dive in Antarctic waters (30 degrees Fahrenheit). At the age of twelve, Evan became rebreather certified while designing and building his own custom, closed circuit rebreather (CCR), for a science fair project. Now at age thirteen, Evan has dived off of four continents, and plans to be the youngest person to reach the waters off of all seven. He currently lives with his family in Fountain Valley, California. Switzerland-based Uemis makes smart dive computers that feature solar panel technology as well as an integrated “social dive log” on the desktop software side of things. The “Zurich” dive computers, if fully utilized out of the water by a critical mass of users, could end up providing a new type of online community for divers around the world. Light & Motion has been known for producing high-end underwater housings and lighting systems for over a decade. Recently, the company has brought their lights to the center stage of the dive industry by launching a new series of hands-free dive lights, their revolutionary SOLA line of submersible lights. Highlights of the DEMA Show 2010 – The dive industry makes a rebound after shrinking due to the economic recession. Many new dive computer models are announced and color OLED displays are becoming more common across brands. Rebreathers continue their push toward the mainstream by taking form in recreational configurations. Dive lights are making quantum leaps forward in terms of burntime and reliability as LED technology has finally arrived. Mention the word “coral” and most people will conjure up an image of tropical reefs, bathed in the bright sun and covered with a huge variety of corals in gin-clear turquoise water. Few realize that most corals actually dwell in cold, deep water far from the sun. Howard Hall has spent over thirty years making underwater films that have inspired millions of people to learn more about the underwater world. In this interview, Hall describes the many challenges and complexities involved with making underwater films, including working with IMAX 3D technology, planning and logistics, working with marine wildlife and more. An in-depth look at the industry-leading technical dive computer made by Shearwater Research. The “Predator” dive computer comes with an advanced OLED display, is depth rated to 450 feet, employs an intuitive user interface and can be used with any combination of oxygen, nitrogen and helium. A key to producing beautiful underwater photos is to mount strobes far away from the lens to avoid “backscatter” (light bouncing off of particulate matter between you and the subject). 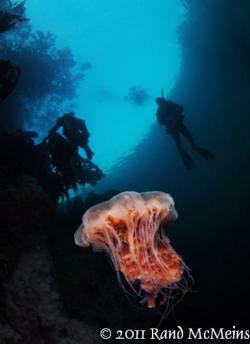 Underwater photographers depend on strobe arms to do this. This set from Ultralight also helps with the camera’s buoyancy. Midway through the dive I saw what we were hoping to find – a small opening in the rock face with a trail of crab and clam debris falling away from it like an expanding fan. Pausing by the opening of the den, my light briefly danced around the interior – someone was home! A large, rectangular eye surrounded by a dense tangle of suckers and arms peered back at me, the large mantle moving in and out with each breath. An inventor in the United States believes he has solved the riddle of how to get humans down to serious depths – by getting us to breathe liquid like fish. Arnold Lande, a retired American heart and lung surgeon, has patented a scuba suit that would allow a human to breathe “liquid air”, a special solution that has been highly enriched with oxygen molecules.